Why Travel to Belize? Is This The Right Trip For Me? Are you thinking of traveling in Belize? Our kayak vacations are unlike anything you can find elsewhere, not only in Central America, but worldwide. Our facility is rustic by design, and our guests are guided all day long as part of the trip package. It’s important to understand our unique approach to make sure it is what you are looking for. Why travel to Belize? For the adventure! I only want a one or two day trip, can I sign up? We can’t offer daily excursions; our shortest trip is five nights in length. Our island is 35 miles offshore, it takes three hours just to get there from Belize City. Can we rent your sports gear but stay somewhere else? We don’t rent our gear for many reasons. Transport and duty fees double the value of gear and there is no way to replace it. Our equipment is based at our private island resort 35 miles off shore, which is reserved for our guests. You would have to transport it that far for rental use. Can’t we just rent a cabana without the package? 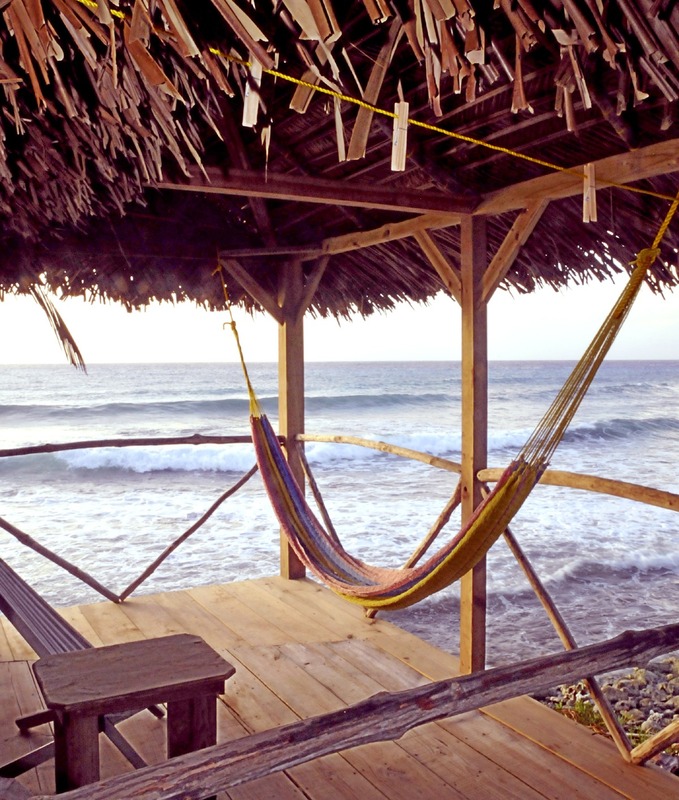 We do not rent our Belize accommodations only. Our island is extremely remote, and our transport only runs two days a week. There is no restaurant other than our Dining Hall. The only way to visit our island is to purchase a package which includes hotel and restaurant meals in Belize City before and after the trip, transport to and from the island, lodging and meals on the island, beer and soda, and complete use of our sports equipment, which includes instruction. There is no discount if you don’t want to participate in one or more of the sports. We have very limited availability, and everything is there for you regardless of how much you take advantage of it. You might surprise yourself and try everything! Why are your prices in line with a fancy resort when you have rustic accommodations? While other lodges focus on accommodations, we focus on sports. We have over 40 sea kayaks for 24 people (so your kayak fits you), multiple windsurf set-ups for beginner, intermediate, and expert sailors, top-of-the line surf kayaks, surf boards for those with experience and chosen for our wave, a huge selection of paddleboards, professional kitesurfing gear, and special kayaks for fishermen. All of this gear is driven over 3000 miles to Belize. No resort in Belize comes close to the sports experience we provide. At our place you won’t find maid service, flush toilets, wifi, or umbrellas in your drinks. But you will get the best sports experience available in the country. If accommodations are your priority you have many options. Our program is not for everyone, but it is no less expensive to deliver this kind of experience. Not to mention the fact that we have a private island! It’s the best island in Belize, with all the best toys. Will I get bored being out on the island for an entire week? Not at all. Long Caye offers the ultimate blend of adventure and relaxation. If you are anything like our past guests, you will beg to stay a second week! (And there is a discount for booking two weeks in a row.) Depending on your ability and fitness level, each sport can take several days of practice to begin to feel proficient. And, everyone likes some hammock time. Will there be enough sea kayaking for an advanced kayaker? Yes! Depending on the group, your guide may lead longer excursions, paddle outside the reef in the open sea, or allow advanced kayakers to paddle on their own with a “buddy”. There is more to see at Glover’s Reef than one could ever cover in one week. I am only interested in one sport. Do you offer a surfing only (or diving only, kitesurfing only, etc.) package? Each sport has a required orientation session before you are authorized to use the gear for that sport. 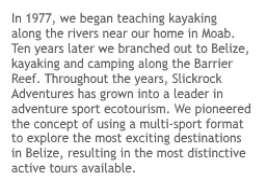 We are NOT renting you the gear, this is a guided, multi-sport trip. Guests with extensive experience in a particular sport may receive a special, abbreviated orientation so they can get started earlier, but this is not always possible for every sport. Our guides are guiding the whole group, not just one person, and they must balance their time between everyone so that everyone is safe in the water. If you have only one sport you are interested in, our guides will do their best to get to the orientation as soon as possible, but it may not happen the first day you are on the island, or maybe not even the second day. Guides are responsible for everyone and can’t guide more than one thing at a time. Persons interested in only one sport will have to adjust their expectations as this is a multi-sport trip, not a single-sport trip, and all sports require a guide or buddy, especially when the conditions are extreme. We find that guests who show up thinking they will only do one sport quickly realize the beauty of this location is that you can try so many things. You’ll want to do everything; there are few places on earth where you can experience this many sports in one week. Individuals can certainly choose to focus on one sport, but we offer everything every week. The primary factor in what sports we are doing on a particular day is of course the weather. If you wish to kitesurf only, and the wind doesn’t blow, you will certainly be thankful for all of the other options! Do I need experience to join your trips? No experience is necessary for any of our trips, but unpredictable weather can sometimes create strenuous conditions. The island trip is perfect for beginners; unless otherwise requested, our longest paddle is two miles. Full instruction is included for all sports, and the 80-degree water creates an ideal setting to learn or improve your skills. People in average shape have no trouble. Inland no experience is required for any activity (novice river-runners do not need prior experience). However, our inland activities are more strenuous than our island sports. Inland we spend up to six hours a day participating in moderately strenuous activities. Some guests may find it very strenuous. If a guest would like to skip a particular inland activity, they are free to join our shuttle driver to drive around to pick up the group. On the Caves Branch River there is a portage which adds to the difficulty of the trip. Who carries the gear on the river portages? I have a bad back and cannot help. On the Caves Branch River (Belize Adventure Week) we make two portages. It is not possible for the guides to do this alone; everyone helps out to get the gear through the jungle to the next safe spot to resume running the river. If individuals have back problems, they certainly should not help, but they should make sure they are not signed up for a very small trip where there would be no one else to assist the guide during the portages. I see I need a “buddy” for each activity. What if I am traveling alone? Many of our guests are single travelers. We offer group activities all day every day, someone else on the same activity can easily be your buddy. If you wish to do an activity without a guide, you would have to find a buddy, but there are usually plenty of people looking for activity partners. Do you charge a single supplement? I don’t want to share a room. We do not charge a single supplement, singles pay the same as everyone else. Getting your own room is something that happens more often than not for single travelers, but we can’t guarantee it. We can’t manufacture more rooms for trips with lots of singles, or trips that fill. If you choose a popular date like Christmas or President’s Day, you might have to share. If you choose a less popular time to travel, you will likely have your own cabana on the island. You might also get your own room at the Biltmore in Belize City, but again, we can’t guarantee it. This is also true for the other lodges we use during the Belize Adventure Week trip. If you do get a single, we pay the difference for you. The only way to guarantee a single room on our trips is to pay for two. We know that singles do not want to share, and we do our best to make that happen. If you can wait to sign up until the last minute we might be able to tell you for sure. However, we cannot promise single occupancy months in advance for any date because we have no idea how many others may sign up later. It is more likely you would not share on the island but possibly share inland. We pay the extra cost when a single gets their own room; our prices are based on double occupancy. If you are traveling alone don’t worry about rooming with someone else, we spend little time in our cabanas. (And we only room persons of the same gender together!) Mostly you will use your lodging to change clothes and to fall fast asleep after an exciting day. Can I bring my kids along on your trips? Our island is the best all inclusive family resort in Belize! The Adventure Island at Glover’s Reef trip is great for kids ages 3+. However, most of our gear is adult gear, and we do not offer kid-specific activities. Families love our island trips because the itinerary is so flexible. Parents may wish to hire a babysitter, which we arrange. There is a price break for children under 12, but there are also restrictions, see our Family Vacation page. On Belize Adventure Week the minimum age is 10. We are often asked to make an exception to this policy, but we do not allow kids 9 years old and under on this trip. Families with kids under 10 years should choose our island trip. The inland sports are best attempted with an adult-size body, for issues of both size and strength. In the past when parents of kids ages 8-9 have told us that their kid was exceptional and we did make an exception, they later commented they should not have taken their child on the Belize Adventure Week trip. On the Glover’s Reef trip our maximum is 24 guests. On Belize Adventure Week the maximum is 12. All of our trips have a minimum of 4 adults, but we will run the island trip for 2-3 adults with an additional surcharge. Occasionally we overbook under special circumstances. If both trips are full, the total number of guests on the island during the second half of the week will equal about 34, with the staff totaling as many as ten persons. If the size of your group is important to you, simply call and we will be happy to keep you posted on the size of any trip. Those traveling at peak times (Christmas, Presidents’ Day, Spring Break, and Easter) can expect full trips. Those traveling at other times will often find that the trips are not full. Can I visit your island if I am pregnant? If you are pregnant you may be wondering if you can join us for your vacation. The answer is yes, as long as you are prepared to travel pregnant, and know what to expect. Our two biggest concerns for pregnant participants on our trips are our distance from medical care and the boat ride out to the island. You will need to talk to your doctor and explain that you will be approximately 3 hours from medical care, first a 2-hour boat ride, and then a 20-minute flight. Your doctor will need to write us a letter that gives her/his permission for you to join, specifically mentioning that 3 hours from medical care is not a concern for you. The boat ride out to the island can be rough. You should bring a belly strap, like the kind you use when you run. You can read more about the boat ride on our website. Active females will be able to participate in most of our sports. You will only be somewhat limited on the sports you can join. There are no problems snorkeling pregnant and sea kayaking pregnant (use a surf kayak instead of a sea kayak, it’s a sit-on-top and easy to get into and out of). Although you can snorkel pregnant, you cannot go scuba diving, too much pressure on your belly. You won’t be able to windsurf because the sail can fall and hit you in the belly. Surf kayaking is a maybe, you can see what you think about that when you get there. Fishing pregnant is also no problem. The first and second trimester are the best times to come– it gets harder to participate in all of the sports when you have less energy and are very pregnant. The only item on our Belize menu that you won’t be able to eat is the yogurt (unpasteurized).